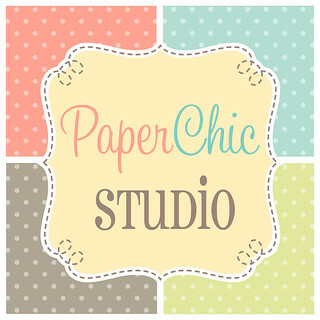 There's two great seminars for mompreneurs and business owners this weekend! First is the Scaling Up Seminar organized by Rone of Mothering Earthlings. 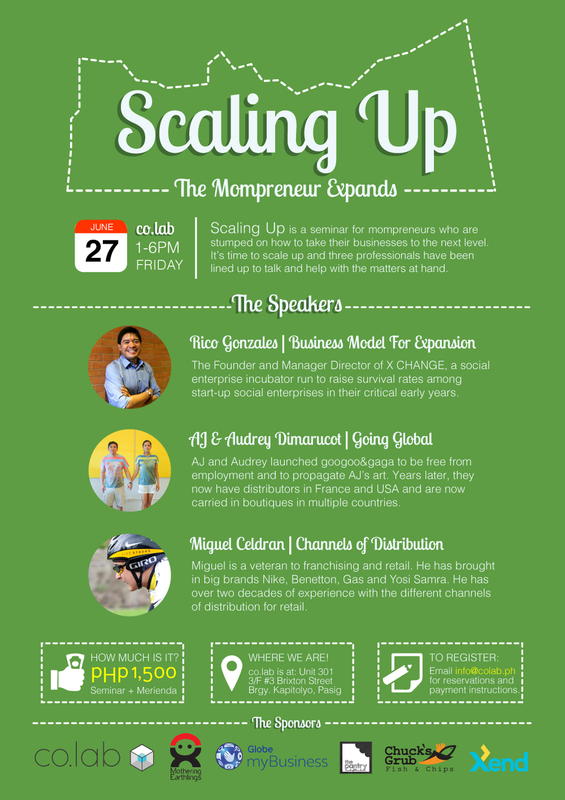 Scaling Up is a seminar for mompreneurs who want to take their businesses to the next level. It's time to scale up and three professionals have been lined up to help with these matters at hand. This seminar is perfect for me!!! But I won't be able to attend. 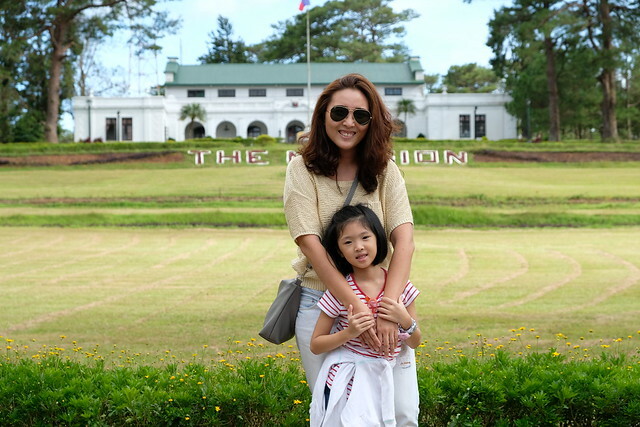 Then on Saturday, there will be anotehr Mompreneur Meet Up at The Crib in Fun Ranch. 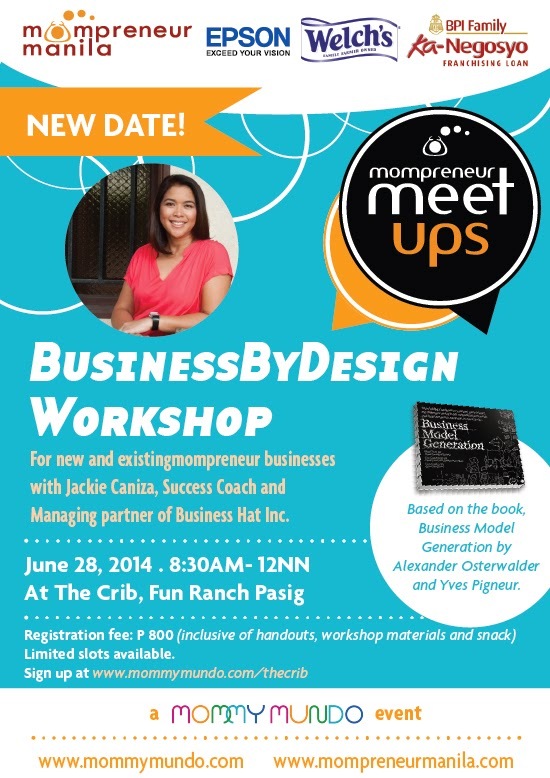 The workshop is by Jackie Caniza where she will talk about how to "design" your business. Through this workshop, we will help business owners and teams to view their businesses through a one-page framework that captures all the critical components of their business model. Whether it is to create an entirely new model or review and revise an existing one, this framework will help participants think about these components in a simple yet effective way. Most importantly, they will be able to clearly identify what makes them different. This workshop is based on the book, Business Model Generation by Alexander Osterwalder and Yves Pigneur. It's going to be a fun learning weekend!